Available with FE-110A, for single end crimping Min. PVC insulation is 9m/m, Min. Length is 15m/m One end crimping and another end 1.2m/m stripping or 3m/m to 5m/m half-strip. This Machine is the only bast device under diffult on producing short wire. 1.Depends on your demand to do crimping one end and full strip or half-strip another end. 2.Adopted by parallel clamping claw cylinder. Min Length is 15m/m. 3.Need 20 minutes only to exchange from standard to short-wire. Operate easy and fast. 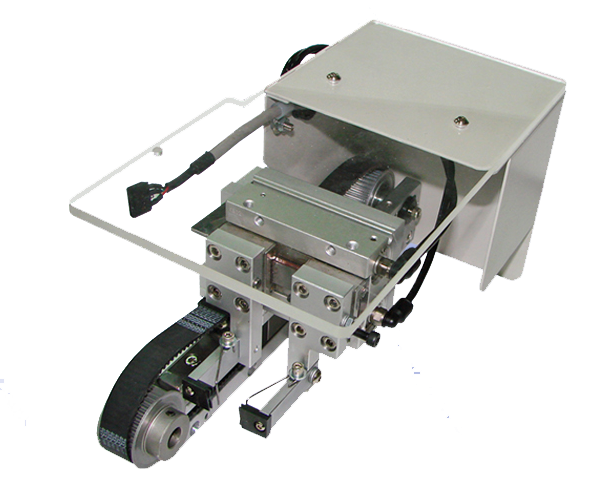 Available with FE-110A to clamp wire to wire collector or withcarrier to clamp wire to fixed position for collecting wire wasily when cutting. 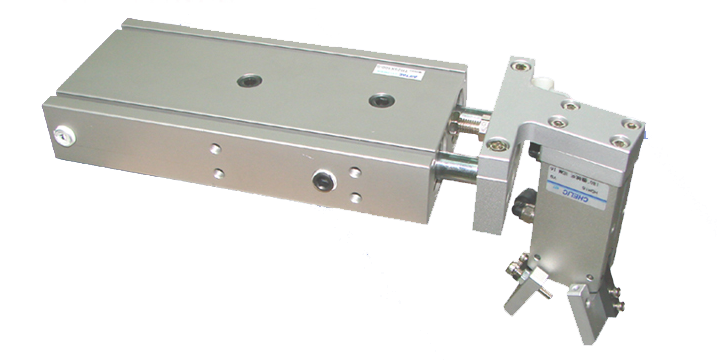 Available with FE-110A to cut longer wire from 10cm to 150cm. Combined with wire clamper to feed the wire to fixed position and clamp wire to wire collector.